Vinaya Vidheya Rama is the most awaited film among masses and megafans. 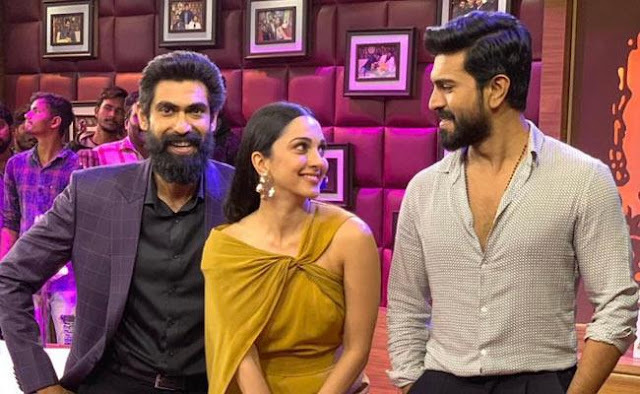 As a part of promotions, Ram Charan and Kiara are participating in Rana's No1. Yaari show. This seems to be the last show in season 2. Rana has tweeted - First day of shoot this year and the last shoot for @No1YaariShow season2. Shooting with my no.1......stay tuned!! First day of shoot this year and the last shoot for @No1YaariShow season2. Shooting with my no.1......stay tuned! !